"We will strive to always keep all promises and have a positive attitude." We will always find a way to make our customers, colleagues and partners feel special. We will go further, working hard to be better every day. Negotiation and execution of supplier contracts that meet the commercial objectives of the client. Lead the account management team and provide support in everything that concerns their client portfolio. 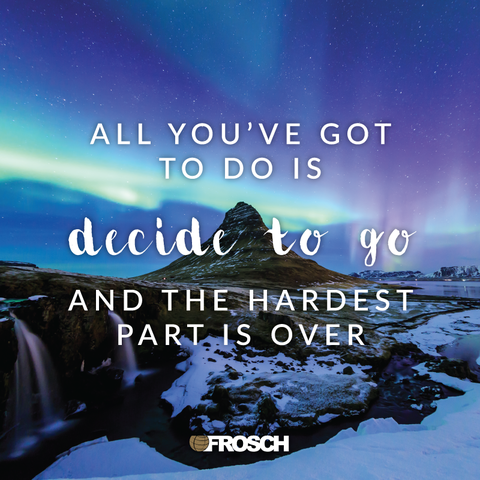 Incorporate the fundamental values of FROSCH at all times: Respect, Integrity, Excellence, Communication, Commitment and Delivery of the Unexpected. Ability to perform multiple tasks, solve problems proactively independently and work well under pressure, always keeping in mind deadlines. Possess a strong commitment to the team environment, collaborating with others to solve problems and develop innovative solutions. Effective leader with the ability to supervise, motivate and develop the team. Experience with CRM platforms and desired online booking platforms.